From wine amateur to tasting professional – the Waiter’s Friend AROMABAR Professional Kit trains the nose in a fun and exciting way. 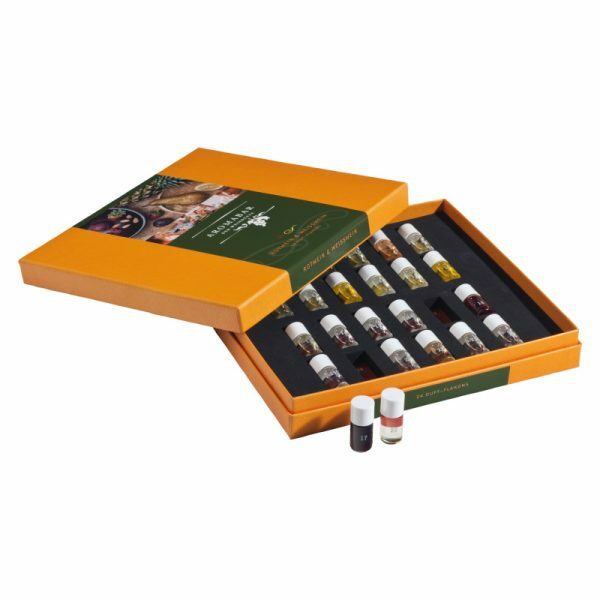 Used by Wine Professionals world wide, Waiter’s Friend AROMABAR Wine Aromas familiarise the olfactory system with key wine scents, enhancing your ability to recognise these smells and flavours in wine. As you begin to learn about the different wine scents and tastes you’ll also expand your knowledge about grape varieties and thier typical properties. Contains 24 typical red and white wine aromas in handy, numbered, multiple-use vials.